A fart joke in the first two minutes – that’s the way to do it! Happy days are here again! Where’s my wolf suit? 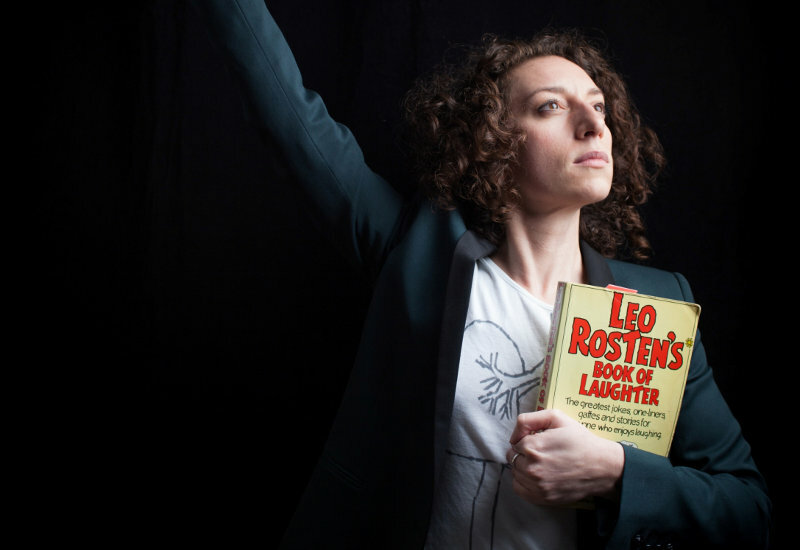 Performance artist, writer and erstwhile stand-up comedian Rachel Mars presents – ta-da! – a perfectly pitched show investigating joke-telling and laughter. Brace yourselves for a mad-cap rollercoaster ride that takes you from her Jewish grandfather’s reputation as a wag (although hearing his jokes recounted, Rachel struggles to understand why – it must be the way you tell ‘em) through to her own experiences on London’s comedy circuit doing stand-up in a wolf onesie, via Mighty Mouse and the Ha Ha Bonk Joke Book (which is indeed the best source for Knock Knock jokes). There is a also a running gag, or a comic story in instalments anyway, about a terrible occurrence at a Jewish funeral, which is fantastic, pulling together many typical components of humorous tales: death, cultural differences, losing control of situations and trying to keep a stiff upper lip, worries about social standing etc etc. I won’t spoil say anymore. Rachel Mars has a great onstage persona, and brilliant comic timing. There’s a simple set, the stage furnished with a coffee table and chair and a standard lamp, with nice little scenographic touches that create a theatrical unity between the different onstage elements – red shoes, red notebook, red cushions. There are minimal but good choreographic touches, a wee bit of well-managed audience interaction, and some nice use of on-mic off-mic banter. It has all been gently guided and ably directed by award-winning theatre-maker Jamie Wood – hard to tell where his influence starts and ends as so much of the show is coming from Rachel’s personal experience, but there’s a shape and a structure and a rhythm to it all that gives it an edge over many one-person shows on the Fringe, so whatever the dynamic it’s a winning team. It’s a clever piece of work, because it has the rolling humour and vibrancy of a stand-up act, but it is so much more – a beautifully crafted and brilliantly performed solo theatre piece. The Way You Tell Them was developed with support from the Basement Brighton and CPT London.